As expected, Lenovo has officially unveiled the Moto G5 and Moto G5 Plus at Mobile World Congress 2017. Pretty much everything about these phones was leaked ahead of time, although we do now know when you'll be able to get these budget handsets, and for how much. The Moto G5 will cost $229 at launch, which is disappointingly more expensive than the Moto G4 it replaces. The G5 packs a respectable list of hardware, including a Qualcomm Snapdragon 430 SoC, 2 GB of RAM, either 16 or 32 GB of storage with microSD expansion, a 2,800 mAh removable battery, and a 13-megapixel rear camera with an f/2.0 lens. On the front you'll find a 5-inch 1080p LCD and a 5-megapixel selfie camera. 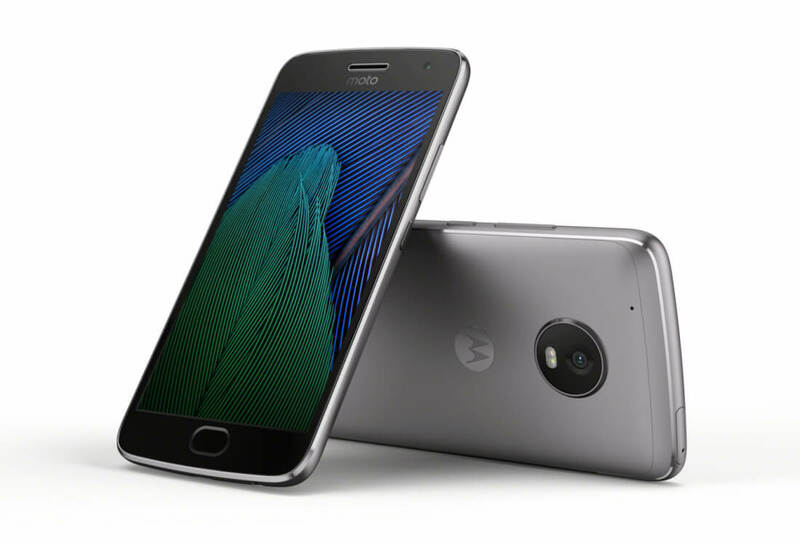 The slightly larger Moto G5 Plus will set you back $299, and it packs a Snapdragon 625 SoC, 2 to 4 GB of RAM, 16 to 64 GB of storage with microSD expansion, a 3,000 mAh removable battery, a 5.2-inch 1080p display with Gorilla Glass 3, and a 12-megapixel camera with dual-pixel autofocus and an f/1.7 lens. This is the Moto G5. The Moto G5 Plus is seen at the top of the article. Spot the differences. The Moto G5 and G5 Plus differ mostly on their internal hardware, but there are similarities on the outside. Both phones pack metal bodies, which is a decent upgrade on the cheap plastic Motorola and Lenovo have used for their past handsets. You'll also get a water-repellent coating, a fingerprint sensor, and Android 7.0 on both devices. The G5 Plus supports Lenovo's TurboPower fast charging technology. For some strange reason, the US variants of the Moto G5 and G5 Plus will not include NFC, however those in other regions will get it. Google Assistant will be included out of the box, as will a 'pro' mode for the camera. Some markets will be able to purchase the Moto G5 and Moto G5 Plus in early March, however there is currently no date on when these handsets will hit North America.